The newest home in our portfolio for Craig and Siobhan in Balham. Externally we installed a small copper canopy to frame the new mono-slide door system and window. This door-set was facilitated by a small cantilever which together with a flush drainage detail, seamlessly links a restrained patio with the new dining area. 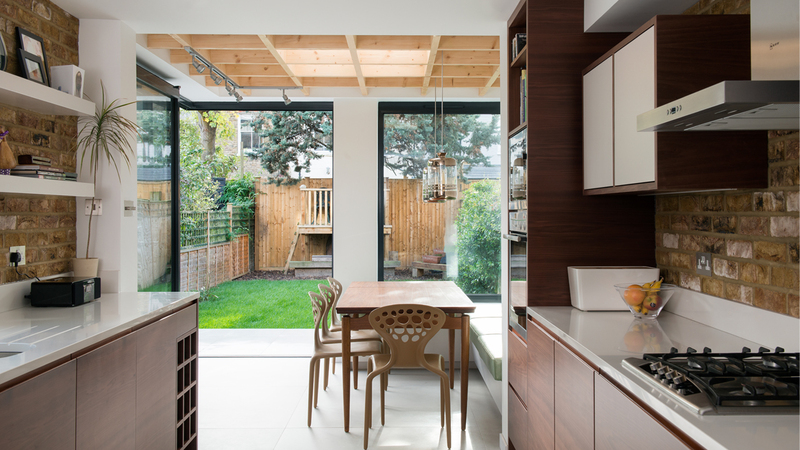 The mix of copper, brick, timber, and pastel surfaces hopefully provides the rich, bright, and textured palette Craig and Siobhan aspired to, whilst the new glazing floods the space with natural light.